All manuscripts undergo a review process by two independent reviewers. Please ensure that the confidentiality of the peer review process and that the propriety rights of those who have submitted the manuscripts are intact. Reviewers must decline a request to review manuscripts if they are aware of a conflict of interest, or if not sure they should disclose the nature of the conflict of interest to the editor. 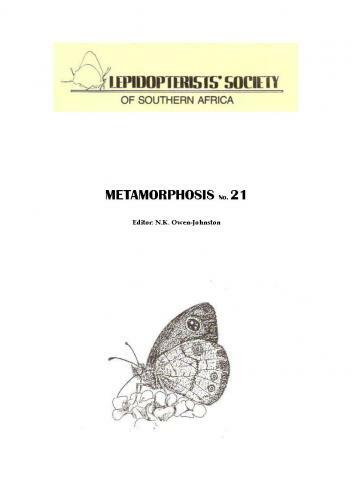 Metamorphosis is committed to the timely publication of all pertinent, original and innovative contributions submitted for publication. As such, the identification and selection of reviewers who have expertise and interest in the topics appropriate to each manuscript are essential elements in ensuring a timely, productive peer review process. If you would like to become a reviewer, please register with Metamorphosis and ensure that all your contact details are correct. the quality of the manuscript, its experimental and theoretical work, its interpretations and its exposition are judged objectively. While the content of a manuscript may justify criticism, even severe criticism, under no circumstances is any personal or malicious criticism of the author appropriate or acceptable. You may be asked to reappraise a manuscript that was referred back to the authors after a first-round review. In cases where reviewers provide substantively different ratings, a manuscript will be sent to an arbitrator for a final verdict.